For additional information about careers in Oregon’s forest and wood products manufacturing operations, there are several websites offering career preparation, options, and employment guidance for both students and jobseekers. 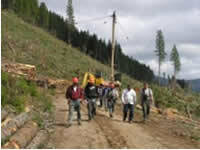 Folks working in Oregon’s forest sector are proud to grow and produce renewable wood fiber products consumed across North America and worldwide. Forest sector careers offer exciting opportunities to learn and apply a wide range of skills in a variety of indoor and outdoor settings. These rewarding careers deliver valuable wood & paper products to expanding markets. Forest sector employers regularly recruit and hire qualified employees to join their team to grow, produce, construct, transport or manufacture forest products for global markets. The outlook for all sorts of positions (entry level and above) is excellent, and advancement can come quickly for the reliable person willing to work hard to get ahead. 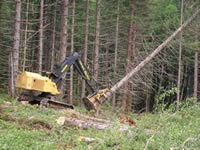 Wages in Oregon’s forest sector significantly exceed the statewide average.